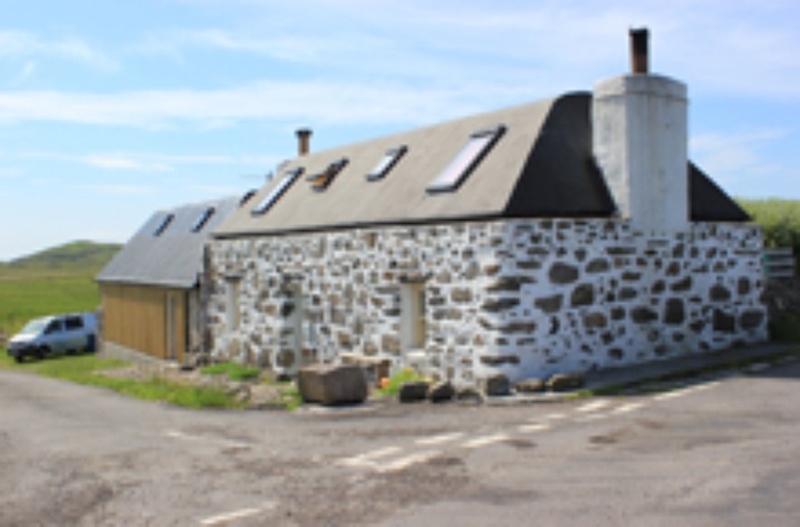 Taigh Bean Iain is a fully modernised traditional stone built, black roofed cottage situated in the quiet east end of the island at Caolas. 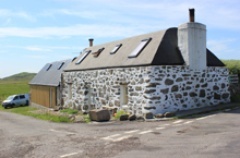 The house has views to Gunna Sound and the island of Coll beyond and is only a few minutes walk from a sandy beach. In the low season there would be the possibility of booking long weekends and shorter stays if available. Sitting Room - with a multi fuel stove. There is a night storage heater with convector heater built in. Wi-Fi is available but there is no TV. There are plenty of games, jigsaws and some books available. Kitchen/ Dining Area - with multi fuel stove. There is a night storage heater with convector heater built in. Dining table and chairs. Oven and hob, refrigerator with a small freezer, microwave, dish washer and washing machine. Pulley for drying. Bathroom- shower cubicle, wc and basin. Fan heater and heated towel rail. 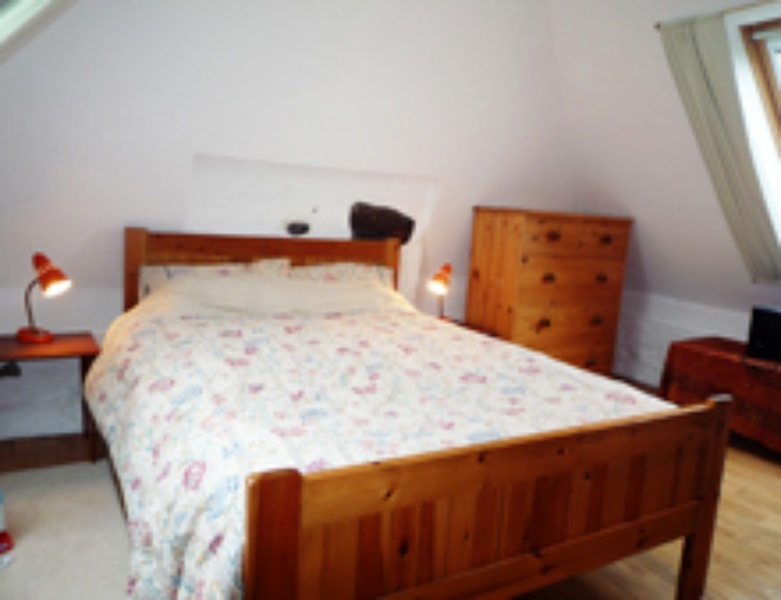 Master Bedroom - with king-sized bed, chest of drawers and convector heater. 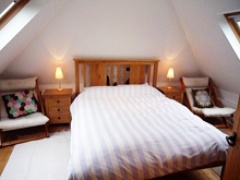 Double Bedroom - with double bed and king-sized duvet and a chest of drawers. Convector heater. 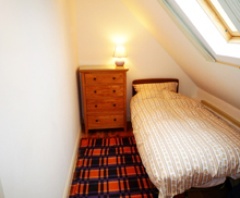 Single Bedroom - this is off the double bedroom and has a single bed, chest of drawers and convector heater. Wi-Fi is available at the cottage. There is an attached lockable barn for the storage of bicycles and water sports equipment and the drying of wet suits. There is a large secluded back garden with garden furniture available and a drying green. There is an outside tap in the back garden for washing wet suits. Electricity is charged seperately. As you enter the township of Caolas at the east end of the island, the property is located on the corner of the road that leads down to the right to Milton. 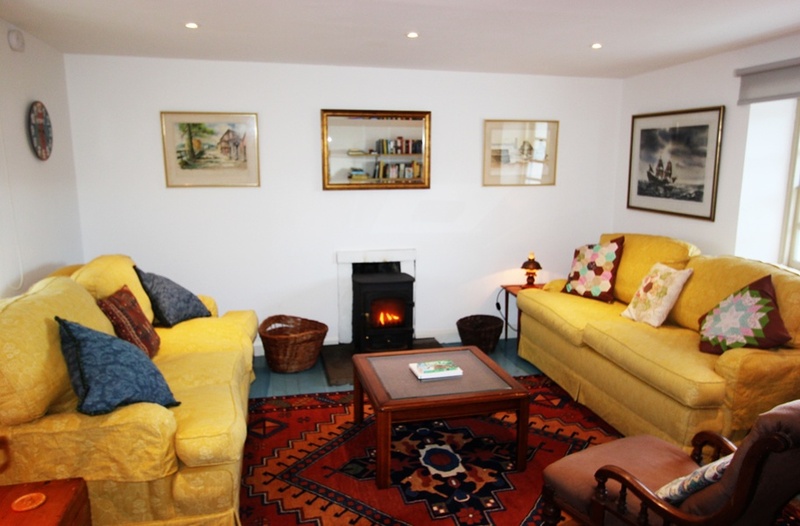 There is an enclosed and secluded garden to the rear of the cottage with drying facilities. 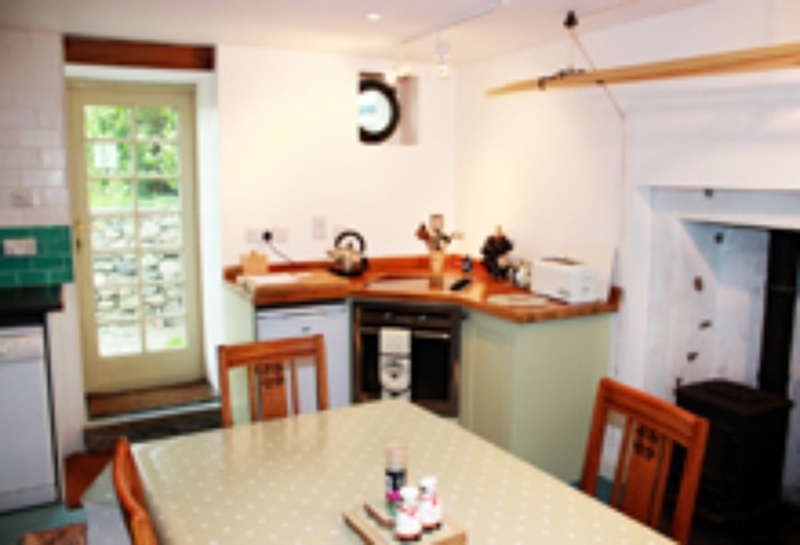 There are garden chairs and a table available which are stored in the attached barn. Off road parking is provided. Sorry - no smoking and no pets. Please click on image below to see other images of the cottage.